Outdoor Living: Deck designs from 2013 - Adding flair to a square deck. 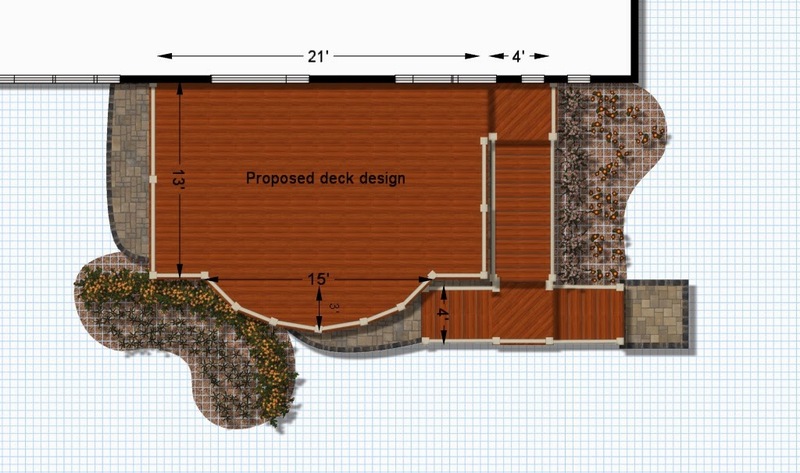 Deck designs from 2013 - Adding flair to a square deck. Well it is Mid-January 2014 and we have had a hard winter here in Michigan so far ! But the deck building season is quickly approaching. We are going to look back at some of the deck designs we did in 2013. 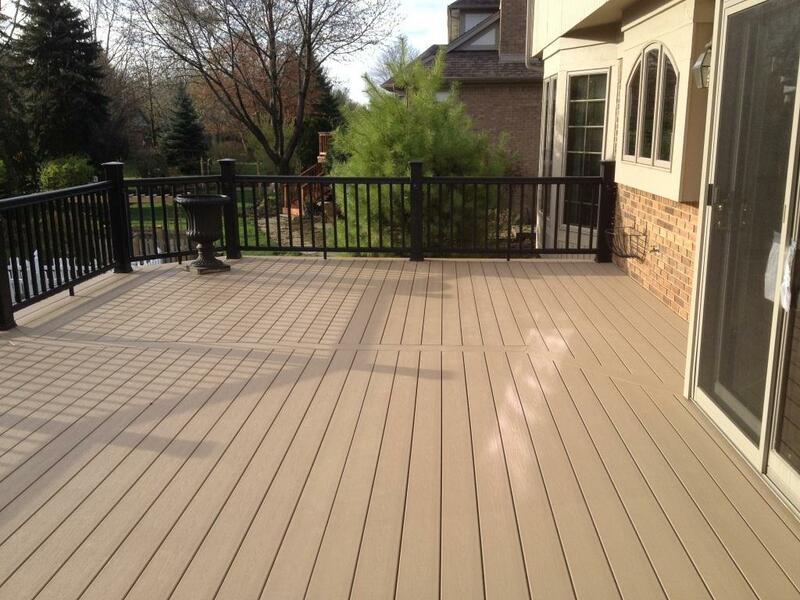 Starting with adding flair to a square deck. Hopefully we can inspire you on your new outdoor living projects for 2014 ! 1) Cost / Waste: These two go hand and hand with decking lengths at 12', 16' & 20' ... Railings at 6' and 8' lengths... Framing lengths from 8' - 20' Designing around these sizes will have many benefits ! 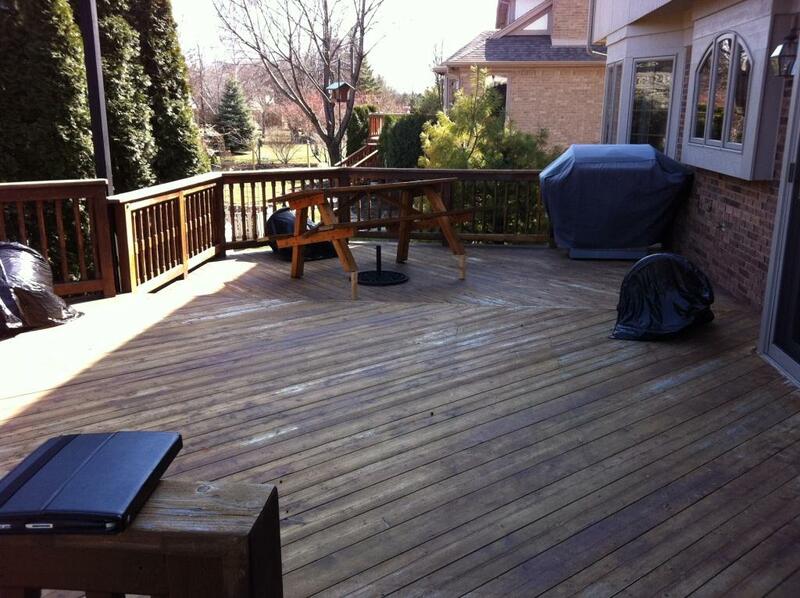 2) Space: Obviously a square deck design is going to give you the most space. 3) Footings/framing: Ease of construction labor time/cost is a big benefit. How to spice up a simple square deck design. 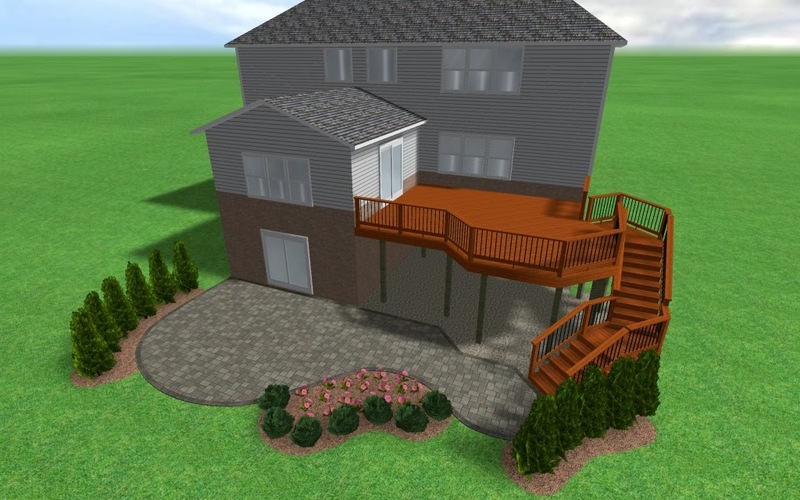 Here is a deck and patio project in Clarkston MI. The layout of the house kind of dictated a simple square deck design. What we did to the design to add a little flair was to add a corner bay which creates a octagon effect. 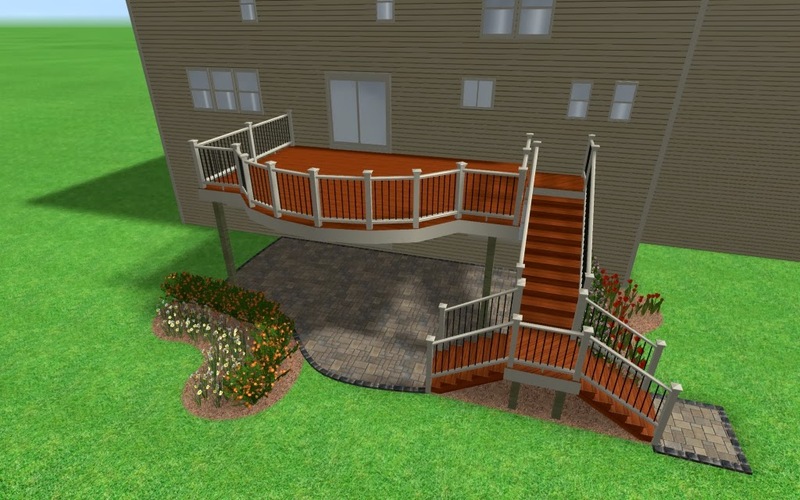 Another nice feature about this deck design is the way the stairs wrap around the deck which keeps them out of site and away from the main outdoor space. 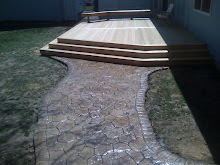 This is a simple square deck design, but with a center triple angled bay to add a little flair to the design. 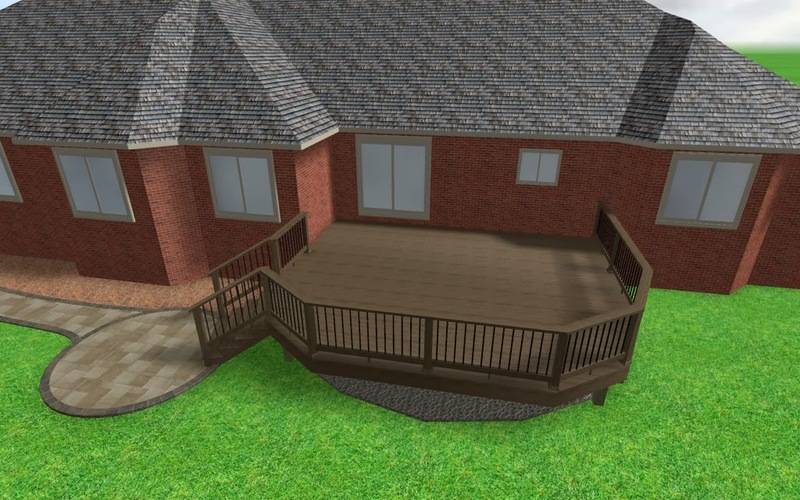 This deck only has two main support post and a engineered beam carries the span between the beam which is a nice feature with a walkout basement underneath the deck. 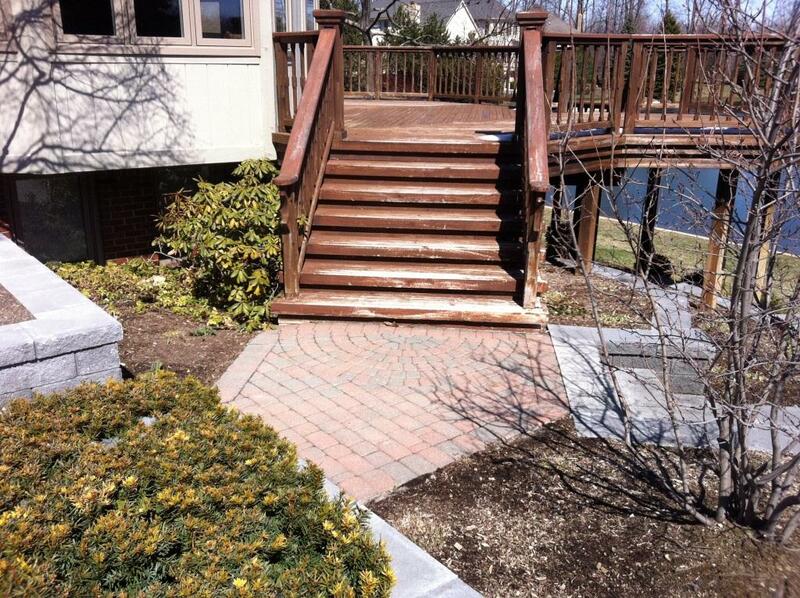 The stairs on the deck design were changed by the homeowner to a single stair case. 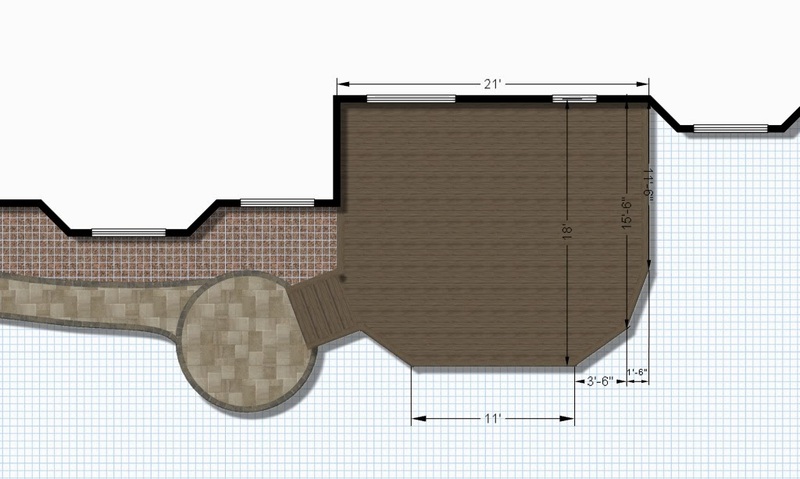 Here is another simple square deck design with double cut corners with the stairs coming off the cut corner. 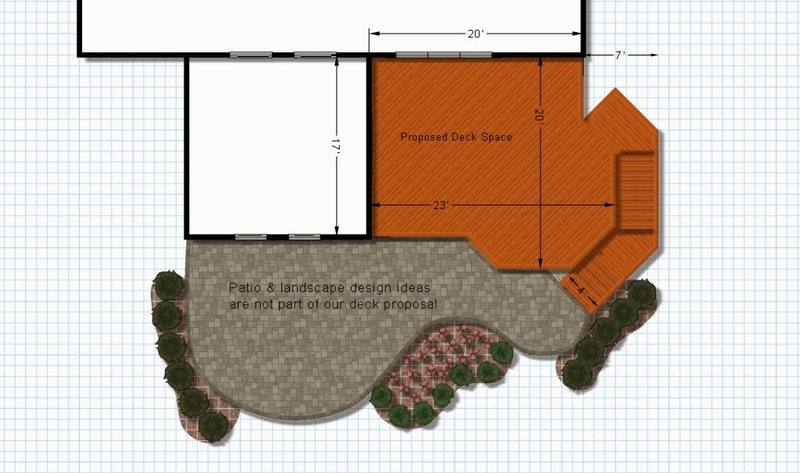 The basic idea is just to spice up a simple square deck design with the double cut corner. 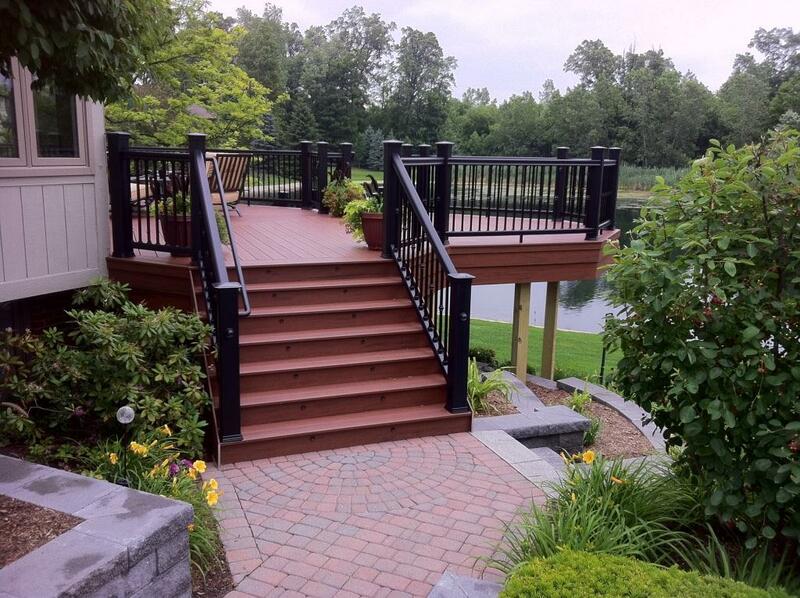 Deck builders in Michigan, Michigan deck designs, Michigan decks !